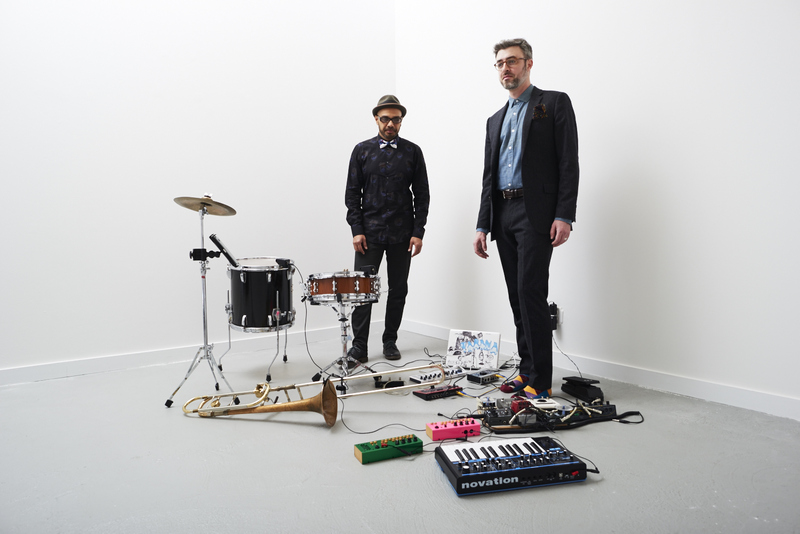 Led by Indian-born drummer Ravish Momin, Tarana is an exciting Trombone/synth & drums/electronics duo that blurs the boundaries between the electronic and the acoustic. Using digital and analog electronics, they layer live loops, harmonies, textures and lush ambience on top of their tight-knit acoustic instruments. While in residence, Tarana will work with guest musicians Val-Inc, Aakash Mittal, Muyassar Kurdi, Jaryd Kala Velez, Luke Stewart, Kamyar Arsani, Taji Nahl, Brian Prunka, Jonah Parzens-Johnson, Thollem, and Laura Boland.